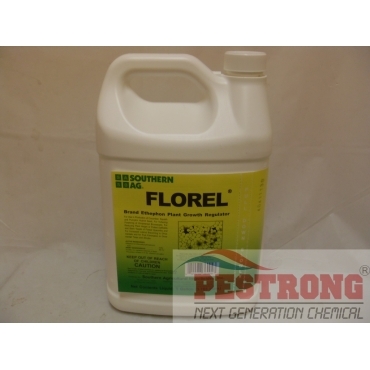 Where to Buy Florel PGR, Florel PGR Fruit Eliminator - Gal - $54.95 for Sale with Fast Free Shipping! Florel PGR Fruit Eliminator - Gal is a systemic PGR that promotes lateral growth and elimination of undesirable fruit. Concise Ornamental Plant Growth Regulator -..
Rate : Vary, but 1 pt (16 oz) - 1 qt (32 oz) in 10 Gallons of water for most case. I have some lovely oak trees on my property. There is one thing that I don't like about them: acorn. The stuff falls off and all over my lawn every fall. They are very hard to clean up. I looked up fruit eliminators, and found a myriad of mixed reviews. Many people said this product is the best thing they've used. Others said to stay as far away from this as possible. I passed on buying this last year and decided to deal with the acorns. My experience with them last year was just as annoying as previous past. So I finally decided to buy this product, despite my worries. When I got this I looked at the label. My goodness does it have a lot written on it. This thing requires careful application. You need to apply this at the right time. If you don't want fruit on your trees, don't spray it after the tree starts producing fruit. It also warns you how dangerous it can be if you spray too much: it'll mess up your tree. And it warns you if you spray too little, it won't do a good job of getting rid of the unwanted fruits. The label was very specific on how to use this thing, so I followed it carefully. This thing really works. I saw little to no acorns during this year, and very few have fallen. I guess I didn't spray the thing perfectly. But the difference from this year to last is staggering. I cleaned out my lawn easily. Acorns are no longer such a pain to deal with. I'm looking forward to next year to wipe out acorns completely.